Having abandoned desire, we have lost hope. C. S. Lewis summed it up: "We can only hope for what we desire." No desire, no hope. Now, desire doesn't always translate into hope. There are many things I desire that I have little hope for. I desire to have lots more money than I do, but I see little reason to think it will come. But there isn't one thing I hope for that I don't also desire. This is Lewis's point. Bland assurances of the sweet by-and-by don't inflame the soul. Our hopes are deeply tied to our real desires, and so killing desire has meant a hopeless life for too many. It's as if we've already entered Dante's Inferno, where the sign over hell reads, "Abandon hope, all ye who enter here." The effect has been disastrous, not only for individual Christians, but also for the message of the gospel as a whole. People aren't exactly ripping the roofs off churches to get inside. We see the Enemy's ploy: drain all the life and beauty and adventure away from the gospel, bury Christians in duty, and nobody will want to take a closer look. It's so very unappealing. David Whyte calls this the "devouring animal of our disowned desire." It is the reason behind most affairs in the church. The pastor lives out of duty, trying to deny his thirst for many years. One day, the young secretary smiles at him and it's over. Because he has so long been out of touch with his desire, it becomes overwhelming when it does show up. 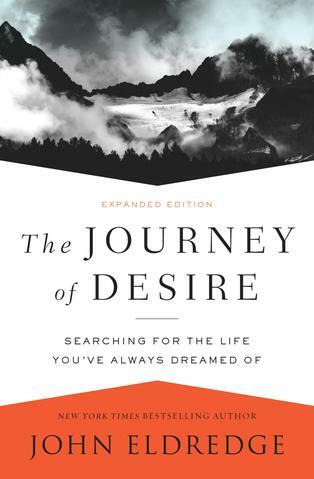 The danger of disowning desire is that it sets us up for a fall. We are unable to distinguish real life from a tempting imitation. We are fooled by the impostors. Eventually, we find some means of procuring a taste of the life we were meant for.